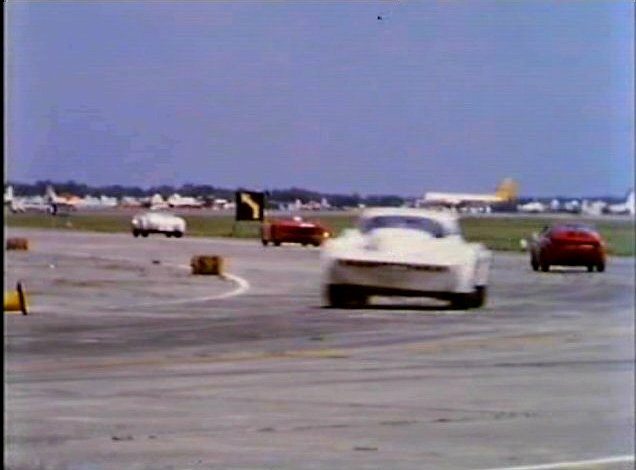 IMCDb.org: 1964 Chevrolet Corvette Sting Ray C2 in "Classic & Sports Car Film Collection, 1998"
Footage is probably Sebring 12 hrs, 1964 as many other cars in this film. 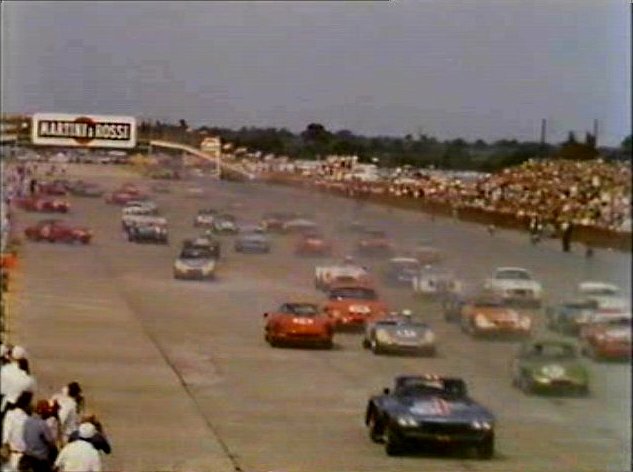 Race details at http://www.racingsportscars.com/photo/Sebring-1964-03-21.html which has a white Corvette GS (chassis #005, race #4) and a white non-GS Corvette with race #6. 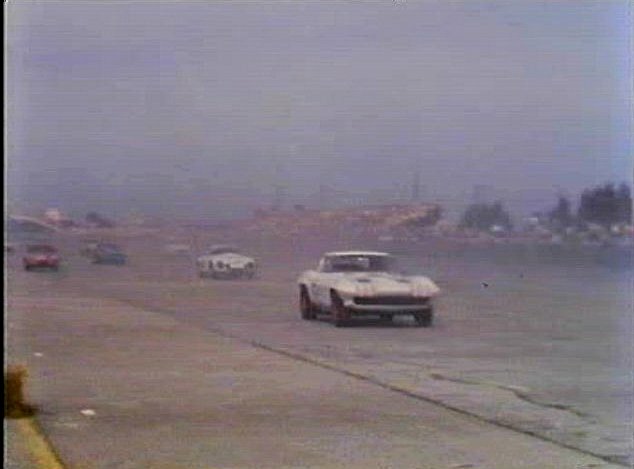 I'll let the Corvettists fight it out, but to me the main here looks non-GS (so #6) but 1st thumb could be GS (#4). 2nd thumb looks GS (chassis #004, race #3) for blue livery with red/white stripes.